The time for goals and New Year resolutions is here. What will you do to be better equipped in your work this year? How will you love the lost and build up the body of Christ all the more? Did you burn the candle at both ends last year? How will you make the time this year to meet with God every day? To not just be in a rush when you meet Him, but to truly pray and listen to His voice so you can follow His lead? To allow Him to empower you rather than running in your own energy? To let Him guide your decisions rather than leaning on your own understanding? To rest, enjoy your family, eat right, exercise, and take care of His temple? 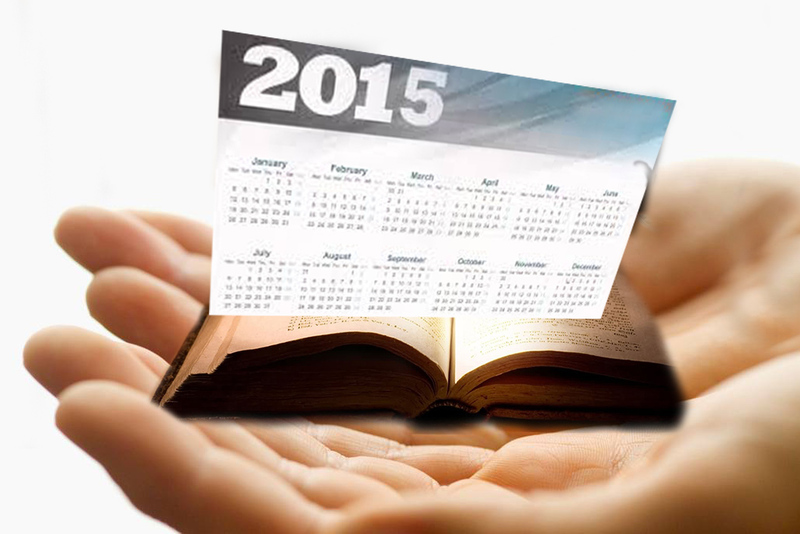 Will 2015 be the year you follow Christ every moment, doing only what your Father is doing? John 5:19. Pause and ask yourself that question. God’s plans are greater than ours. Galatians 5:25, Isaiah 55:9. We can dream up all kinds of ways to accomplish good things. But even our best-laid plans can’t compare to His. And if we’re too busy doing what we think best, we’ll miss His better! Isaiah 55:8, Proverbs 3:5-7, Luke 10:38-42. No. My ideas, my plans, my schedule… just aren’t an efficient way to get His things done. But when I give my time into God’s hands, He gives me the energy to do what He calls me to, because He’s the One empowering me. Philippians 4:13. As I ask Him, “Lord, what do You want to do now?” throughout the day, He shows me His heart, lines up divine appointments, transforms peoples’ lives (including my own), empowers me to respond in love rather than stress, and even gives me time to rest and enjoy family. “I run in the path of Your commands, for You have set my heart free.” Psalm 119:32. Can you feel the joy in that statement? Humble surrender and submission to God’s guidance invites His felt presence near, bringing rest, joy, peace and freedom. Matthew 11:28, Exodus 33:14. But surrender isn’t just laying my plans at His feet. Surrender to Christ means laying myself down daily. Galatians 2:20, Luke 9:23. More than accomplishing great things for Him, God wants my heart. All of it. Will you take time now to lay yourself before your King, and ask, “Lord, what do You want to do in me this year? What sins do You want to clean out? What lies do You want to topple with Your truth so I can truly walk in Your Spirit and Your Word? How do You want to change me to love as You love, do what You’re doing, and say what You saying?” John 8:42-47, 8:31-32, 14:15. Make surrender to God your highest priority this year.